Madison Elementary School Daddy Daughter Dance! February 22nd, 2019. We want to thank the Madison PTO for allowing us to entertain the students and their fathers!!! « Nicholas and Kayla Harker wedding. November 10, 2018. I met Claude through a mutual friend when I spoke about my upcoming wedding and the stress involved with planning. I am very naturally stiff individual and don’t care for dancing in the least, Claude proved me wrong! Before I knew it he had my bride and I and many more out on the dance floor shaking our stuff! It was an amazing experience on top of the happy day. I highly recommend anyone looking for a DJ for any event to give Claude a shout, you won’t be disappointed!!! Claude and Terrance were amazing at our wedding!! They were on top of everything, it was perfect and they interacted with the crowd and the people wonderfully. I would recommend their services to anyone and everyone!!!!! 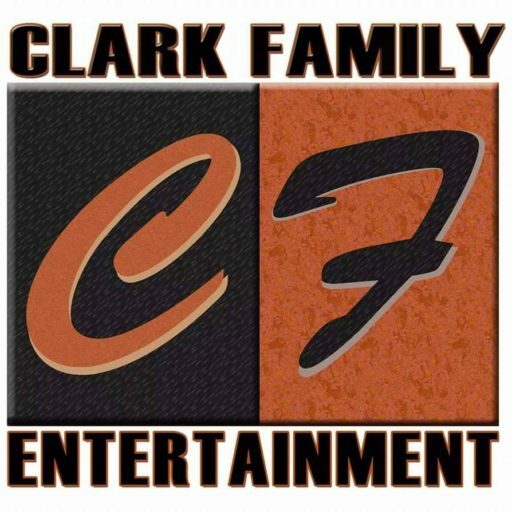 Clark Family Entertainment was fantastic from the beginning! Claude and Terrance were very experienced and talked me though every aspect of the wedding! They both gave helpful advice when opinions were asked for. Terrance was our DJ for both our ceremony and reception, he was very professional and fun! He followed the vibe the the crowd perfectly! He didn’t hesitate to ask questions when needed to make sure everything was running smoothly. We were overall extremely happy and would highly recommend Clark Family Entertainment to anyone! Claude recently provided his services for my daughter’s wedding. Communication from our end (my family’s) wasn’t the greatest, but you would have never known from the event. Claude is the best DJ and made everything flow so smoothly, while at the same time making it the best, most fun time! You will not find a better DJ! Claude’s pricing is unbeatable as well! Claude is very professional and interacts with the crowd. His staff made our daughters graduation party a hit. her and her friends enjoyed it. we love him and have used him multiple times and will use him again in the future!!! Claude did a fantastic job at a recent graduation party that I performed at! He worked with me to make it sound as good as possible and got all of the tracks that I needed. He played music the rest of the night and definitely pleased all of the party attendees and had everyone dancing. Claude will definitely be my go-to in the future! Clark Family Entertainment, hands down, is the best out there. He gave us everything we wanted in our search for musical entertainment at our wedding. Clark Family Entertainment, hands down, is the best out there. He gave us everything we wanted in our search for musical entertainment at our wedding. Family friendly music combined with a little bit of the grown up stuff when the childrens bed time fastly approached. Wedding games, vast selection of music and even karaoke! He brings the life to the party that will make you want to get up and Kriss Kross Jump!!! Testimonial *Claude is the DJ to have if you want someone who will interact and listen to your crowd! He hosts the Friday Night Mix Up every weekend at Pie Eyed Petey's! Everyone likes the way he asks what kind of music they like and he has about every song you could think of! Thanks Claude for being great at what you do! Claude was an AMAZING DJ. Couldn't ask for a better DJ and was very interactive with everyone there. If anyone needs a DJ for anything, he is your man. Testimonial *Clark Family Entertainment was a key factor in making our daughter's sweet 16 party a success! Thanks Claude for helping to make the party so fun and memorable. Thank you Claude for everything you did on our wedding day! You got everyone involved and up and dancing! We will recommend you to everyone! Thank you Claude for everything you did on our wedding day! You got everyone involved and up and dancing! We will recommend you to everyone! Thank you again! Claude did a great job for our wedding and reception! He was so easy to work with and helped us pick songs that worked for our group. He got everyone up and moving, interacted with the crowd, and kept things going!! Great DJ! Testimonial *Claude, thank you for your Dj service at our Fall fest at Andersons Florist. Your professionalism and music selection was exactly what I was looking for. We at Andersons will confidently recommend you to all our brides! Testimonial *Claude did an amazing job at our wedding! He kept our guest entertained and also got them off their feet and dancing. Claude told us at the beginning that he had a surprise song to play at our wedding but he wasn't going to tell us what it was going to be. My father-in-law passed away a week before our wedding. It was a very hard time for my husband and mother-in-law. The surprise song that Claude played at the wedding was the song my mother-in-law and father-in-law danced to at our wedding. It was perfect! We couldn't of asked for a better DJ to do our wedding! Claude did amazing!! Testimonial * I had a crazy wedding day. I had an incident happen with my father during the beginning of our reception. My father had to be rushed to the emergency room, and my new husband and I left our long awaited wedding reception. Claude, managed to save the party! He kept everyone up to date on the health status on my father and made it a point to keep everyone interested in the music. He was professional and yet very personable. We made it back to the reception to celebrate with our guest. Hands down, he really did keep the fun rolling! What I loved the most about Claude is that he makes it a point to get all the details ironed out before the event. He sat down with us on multiple occasions to help us through the details. He suggested mulitple options based on his experiences with weddings and other entertainment events. He knows what he is doing and proved that beyond our expectations. I highly recommend Clark Family Entertainment! Claude does an amazing job. I really love his professionalism, integrity, assistance, punctuality, and entertaining personality. I definitely will be using him for future events! Awesome place. Excellence is proven not given.